At Grandcity Auto Body Richmond, we go above and beyond to care for our customers and their vehicles at our auto body shop. Our car dent, paint and collision repair business is renowned for superb workmanship, exceptional customer service and impeccable attention to detail. Grandcity Auto Body Richmond is found at 11320 Bridgeport Road. Our convenient Richmond location is always buzzing with the latest and most exciting auto repair technology. We understand that the best technology in the industry, combined with strict quality control measures, ensures that we deliver the best quality car body repair work in the shortest amount of time. This is precisely why our customers love us! Our Richmond technicians will ensure that you receive the most cost-effective and quickest solution possible. We love having a location in Richmond for so many reasons. This modest but growing city has the highest percentage of an immigrant population in Canada, making it a rich and vibrant community. Plus Richmond gets 30 percent less rain than Vancouver, and the temperature is perfectly mild year round, not to mention those beautiful foggy mornings. And did you know that Richmond is actually located on Lulu Island (named after a showgirl!) and is the largest island in the estuary of the Fraser River? What’s not to love? We’re not the only ones who love our Richmond centre. Because of our commitment to superb quality, we receive exceptional customer satisfaction ratings. But don’t take our word for it! Our paint and repair facilities surpass expectations and that’s why we’ve been awarded the prestigious distinction of being an ICBC c.a.r Shop VALET. 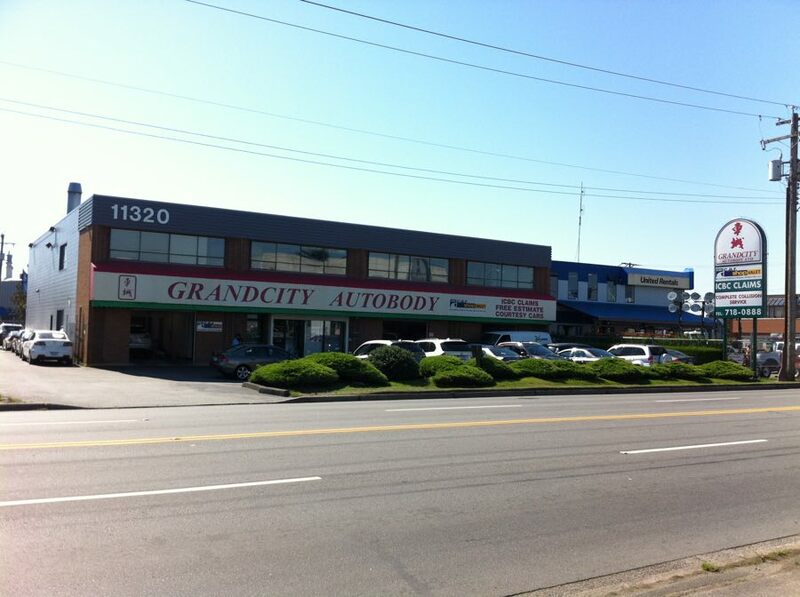 Contact Grandcity today, or come and see us in our outstanding Richmond location for any of you vehicle repair needs.